1.) 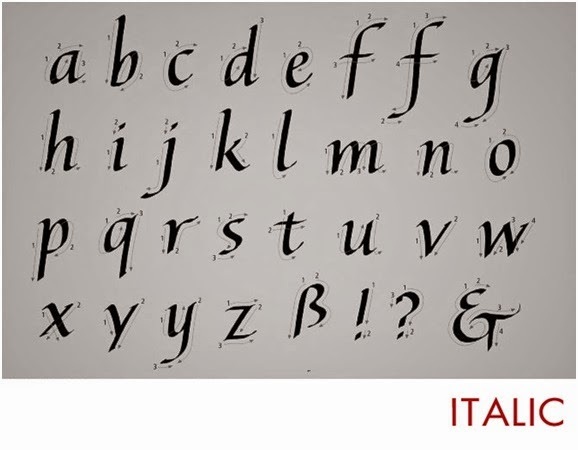 Fancy penmanship, especially highly decorative handwriting, as with a great many flourishes. 4.) A script, usually cursive, although sometimes angular, produced chiefly by brush, especially Chinese, Japanese, or Arabic writing of high aesthetic value. 5.) Fine Arts. A line or a group of lines either derived from or resembling letter forms and characterized by qualities usually associated with cursive writing especially produced with a brush or pen.